Good evening lovelies! It’s definitely a beautiful day. I have to say my heart is truly touched by the amount of support and effort everyone of you have put towards the One Voice Fundraiser. It is absolutely amazing how loud a voice can be heard when we all stand together. The amount of support is still pouring in. More designers keep adding their fabulous designs to this event to keep offering their support. This fundraiser doesn’t just help Gala (Curio Skins). It also helps every single content creator in Second Life. Standing together to fight for what you know is right is more support than a single person could ask for. I get all teary eyed with joy when I think of the effort and dedication that was put into this event. Not just the designers, but the bloggers and most importantly the people who help put this event together. I know Gala probably has so much thanks she can’t even put it into words. But showing her fight to win this battle and all of us standing behind her she will triumph! If you have a minute or two please take it and go down to this event to even show the smallest of support. Every single penny helps! Happy Shopping lovelies! Good afternoon lovelies. Today is a good day. And you know why? Because I’m here to show you more awesome goodies from One Voice Fundraiser. And to show it off I decided to wear a Curio skin in support of this awesome cause. This event will be running until July 22nd. 50% to 100% of proceeds will go directly to Gala in support of not only her legal fees but her fight for every content creator in Second Life. Together we stand to let our voice be heard. Please if you have a minute or two to go down there and show your support even if it’s just a little bit, every single cent makes a difference. Together let’s be heard! Team Curio/Gala all the way! Happy Shopping lovelies! Good evening lovelies! 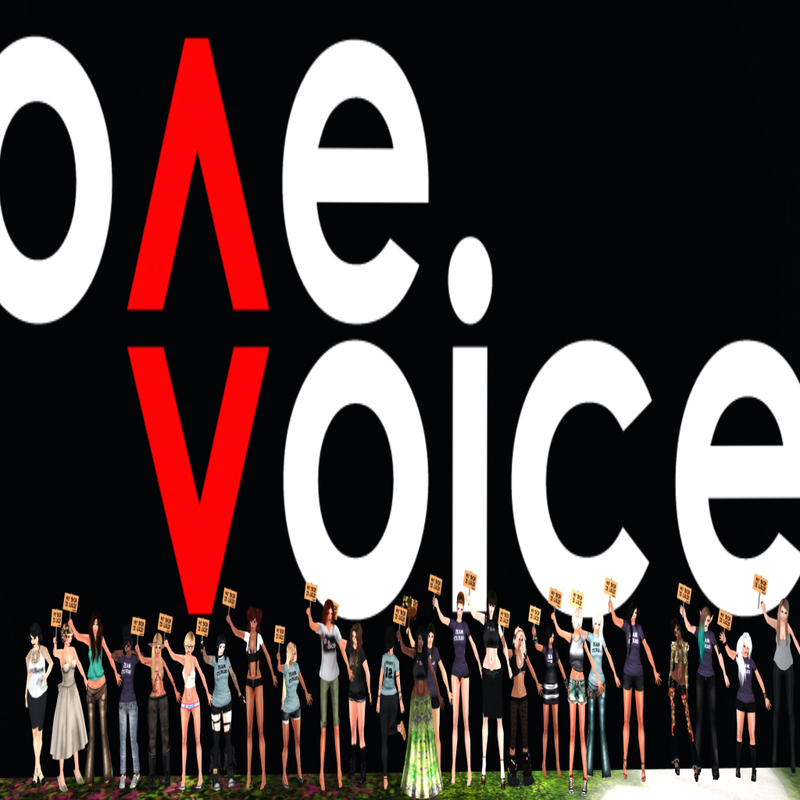 I am back for more from the One Voice Fundraiser. I am telling you there are so many fabulous designs I just can’t get enough! This very cute Mesh dress from Candydoll is something I just had to have! Remember everything you purchase, either 50% or 100% goes to help Gala (Curio Skins) win this fight for not just herself but for all content creators around the grid. It is just amazing and really touching that so many huge and wonderful designers have gotten together to help with this and put so much effort into it. These people truly are angels! It just shows how loud the voice CAN be heard. I hope you all get a chance to get down there and show your support. This fundraiser extends until the 22nd of July so get down there while you can! Happy Shopping!